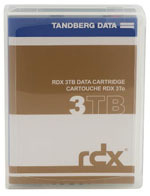 Purchase select quantities of Tandberg Data Cartridges and get: (1) SATA III Internal 5.25 Inch Docking Station for FREE! Now through March 15, 2019 while stocks last. 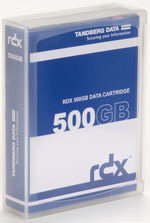 The RDX QuikStor combines the simplicity of tape-based backup with the speed and near-instant access of a hard drive with internal and external drives and removable cartridges in a range of capacities. The exploding growth of mission-critical digital content combined with government regulated retention policies has created a need for secure, reliable and portable data protection solutions at an affordable cost. 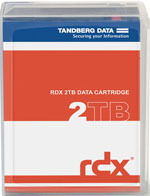 The Tandberg Data RDX QuikStor technology delivers a rugged design for maximum data protection and secure handling. Full backward/forward compatibility allows users to scale to higher capacities, without worrying about drive generations. 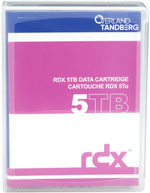 SuperSpeed USB 3.0 and SATA III interfaces offer high performance. 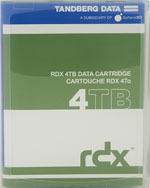 With a choice of hard disk and solid-state disk media, unique performance requirements are met. 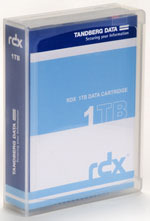 From professional workstations to the low-end enterprise, RDX QuikStor provides users with best-in-class backup and archive capability that is ideally suited to help users get their businesses up and running quickly in the event of data loss. Average access time 15 msec.